The bins are sold by hardware stores and are intended to hold screws, nails, etc. 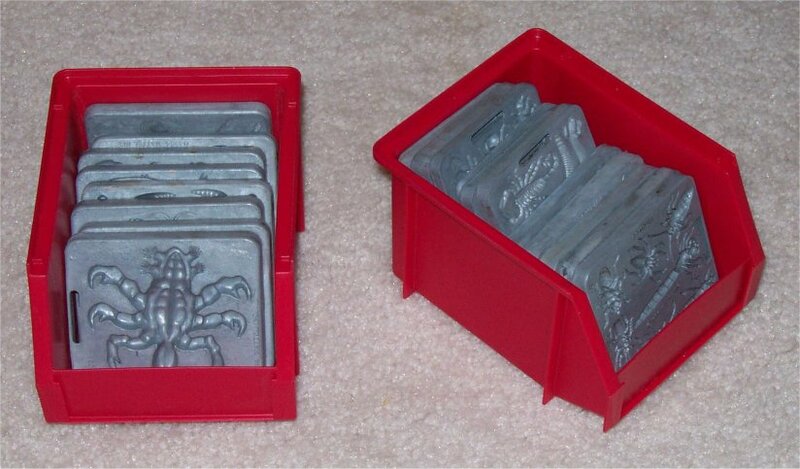 This worked fairly well but I wanted to make the molds more "visible" so I didn't have to unpack them to look at them. I made a few wooden trays to hold the molds. This allowed the molds to be laid flat so they could be viewed more easily. 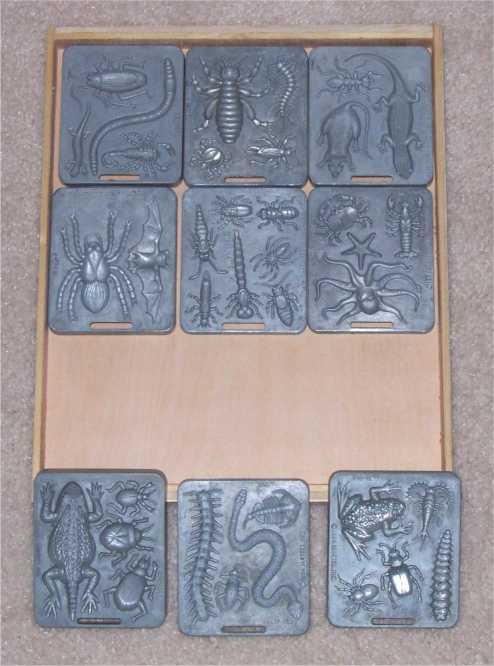 These trays held up to twelve molds. This solution also worked reasonably well but I needed something to hold the trays and as I said earlier, I didn't have time to build a chest. 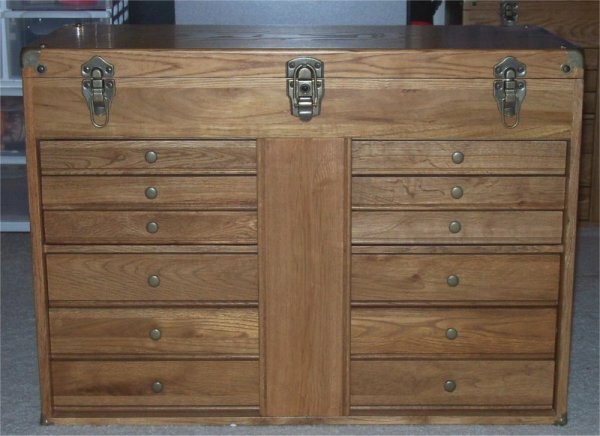 I found a machinist's tool chest (at Sam's Club of all places, for approximately $100) that had drawers that were just perfect to hold the molds. I ended up using it in combination with the other methods I had tried. The plastic bins fit nicely in the top of the chest. 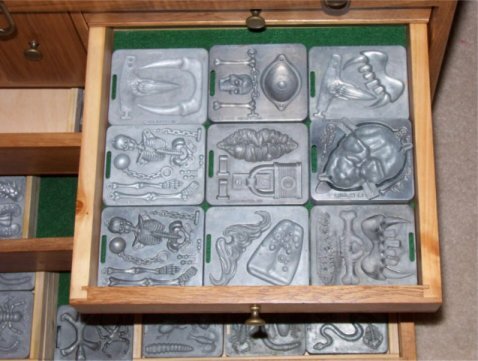 The bins hold tools and duplicate molds. 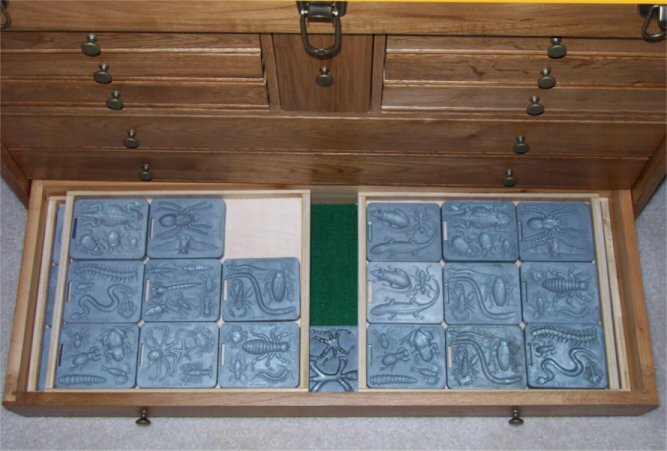 I made smaller versions of the wooden trays so they'd fit in the drawers. 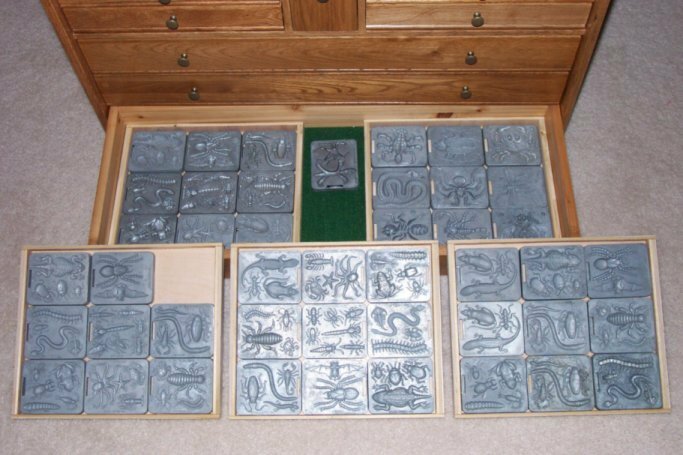 These trays hold six or nine molds and can be stacked in the drawers. 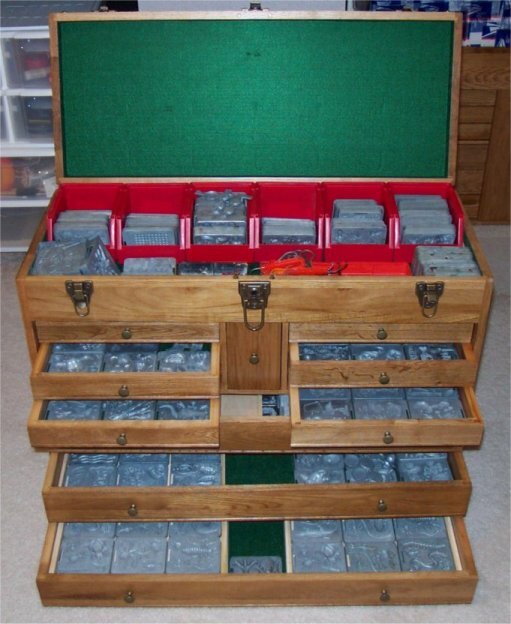 This allows well over 50 molds to be put in each of the three large bottom drawers.